Think-pair-share is a cooperative pair instructional strategy. 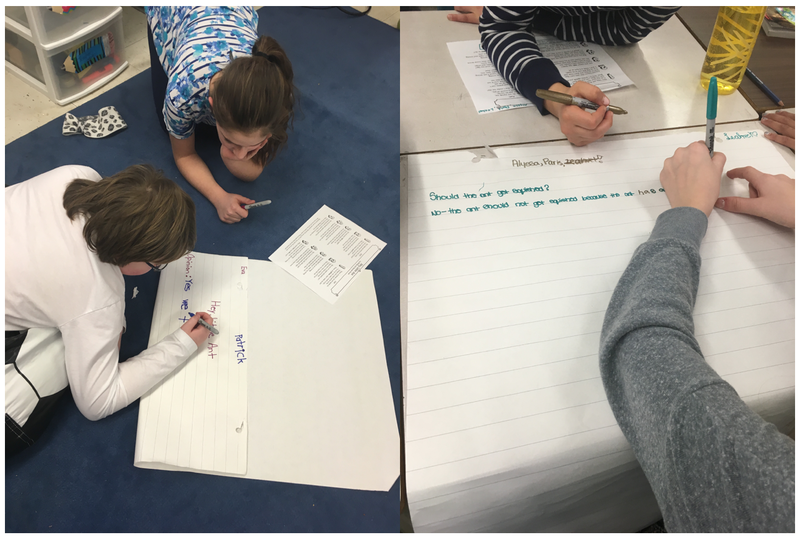 Students are given a question or task and they must first think about it individually, then turn to their neighbour or “elbow partner” to discuss, and finally share their responses with the larger group. I used this strategy repeatedly throughout my practicum as it gives students the time they need to process their thoughts before having to discuss the question or task with a classmate or the teacher. It reduces the pressure on individual students to answer questions as they are given the time to confer with a classmate and listen to a potentially different point of view before sharing their response with the class. We would often use it during the activation portion of the lesson to discuss how a math strategy might be used, or predict what might happen in a story, for example.